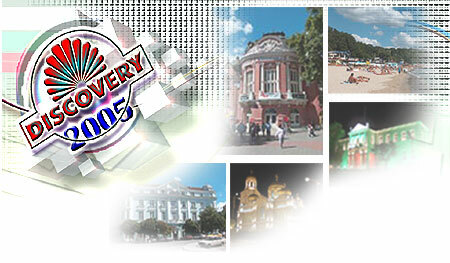 The Discovery International Pop Music Festival is held every year since 1992 in Varna, Bulgaria (the so called Summer Capitol, situated in the West side of the Black Sea). It's the only international pop contest in this country at the moment. This institution combines in an unique way different kinds of music from all over the world. Talented singers from more than 37 countries (Albania, Armenia, Bulgaria, Cyprus, France, Georgia, Israel, Italy, Macedonia, Malta, Mongolia, Romania, Russia, Serbia, Switzerland, Turkey, USA, Uzbekistan etc.) present the most harmonious bouquet of melodies, carrying the athmosphere of the world's cultural variety.